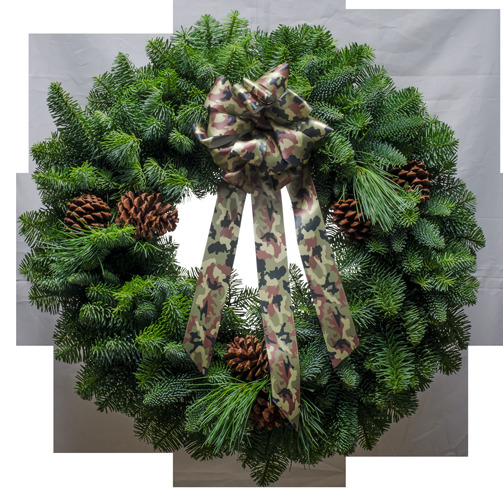 It may have a camouflage bow, but the camo Christmas wreath will get noticed for sure. It is straight from the forest with the great smelling evergreens and matching ribbon. Great gift for the woodsman or woods woman in your life! "This company is the real deal. They have the friendliest customer service and great quality. Christmas Forest and the staff are doing everything right."